Is there a way to see through the transparent background of .png images? 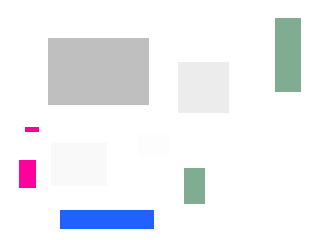 I set up four separate gem-heads, each importing .png images to add as textures to squares with the same dimensions, stacked on top of each other. I was hoping to be able to see through all 4 images to the gemwin background, but I only see the opaque parts of the top layer and a white background. I ran an image through two pix_alphas (one passing white and the other passing black) and that did the trick (no greys yet). If I set the background of the original file to a certain color I can target that color and remove it, creating a transparent background. I had alphas work for me in the past, on a .png mapped to a sphere. I'll check my patching tonight. Yah it does work.. (with multiple gem-heads & pix_multiimage too) but all the images are black and without color. How do I fix that? Fixed. I've never had to use the "color" object in the chain yet. perhaps you could upload your patch + images so we can help finding any issues? I attached the working example and a png image. I'm having trouble getting other objects like pix_grey or pix_invert to respect the transparent layer. Any ideas?